Sturdy frame in heavy duty steel construction. 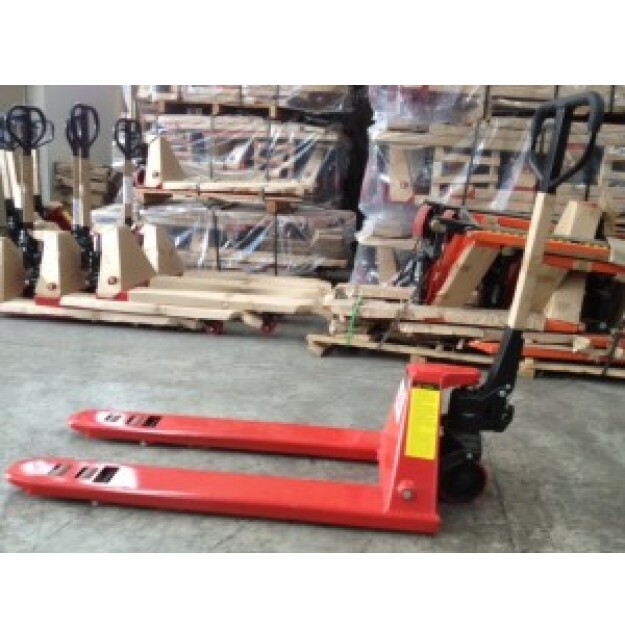 This pallet jack is low profile (only 65mm) making easy pallet entry. 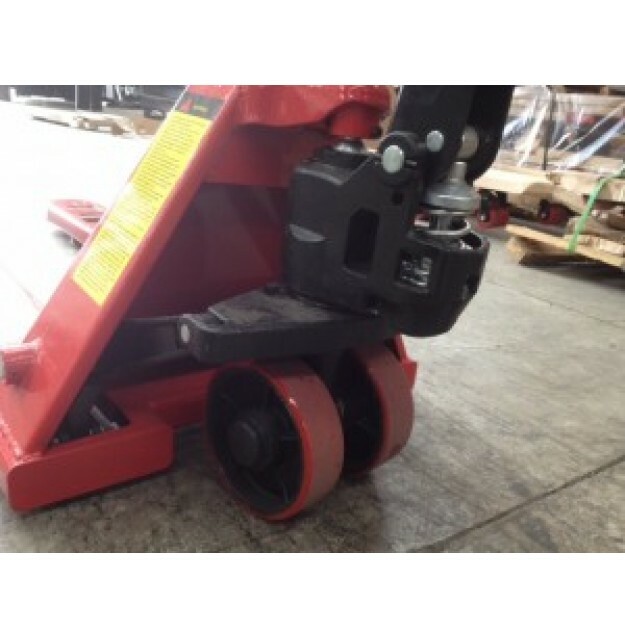 This unit is available in either 550mm width or 685mm width and is fitted with double red polyurethane wheels.